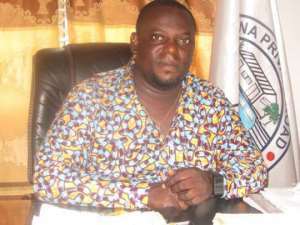 The Alajo Trotro Local Branch of the Ghana Private Road Transport Union (GPRTU) has elected a five-member executive to steer its affairs for four years. They are Mr Emmanuel Sowah, Chairman, Mr Gideon Armarteifio, Vice Chairman, Mr Samuel Painstsil, Secretary, Mr Joseph Arthur, First Trustee and Mr Jacob Ahene, Second Trustee. Mr Abass Moro, the Regional Industrial Relations Officer of the GPRTU, at the swearing-in of the elected officers, urged the executive to work harder to accelerate the development of the Union to justify the confidence reposed in them. He called on the branch members, who plied the Alajo-Accra route, to exercise great precaution while driving to ensure the safety of their passengers. Mr Emmanuel Nii Ankrah, the Regional Chairman of the GPRTU, assured the drivers that his administration would devote resources to build their capacity to gain knowledge on road traffic regulations. Mr Sowah, on behalf of his elected colleagues, expressed gratitude to the delegates and the Regional Secretariat for ensuring an orderly election to the admiration of all. He appealed to the delegates to cooperate and support them in their administration to improve the welfare of all members. Meanwhile the Kaneshie-Mamprobi-Korle Bu Trotro Branch election ended in a deadlock as members demanded accountability from the past executive before the election could be held. As a result, a three-man Interim Management Committee, headed by Mr John Marfo Siaw, was formed to take charge of the branch while the accounts of the past executive were audited.